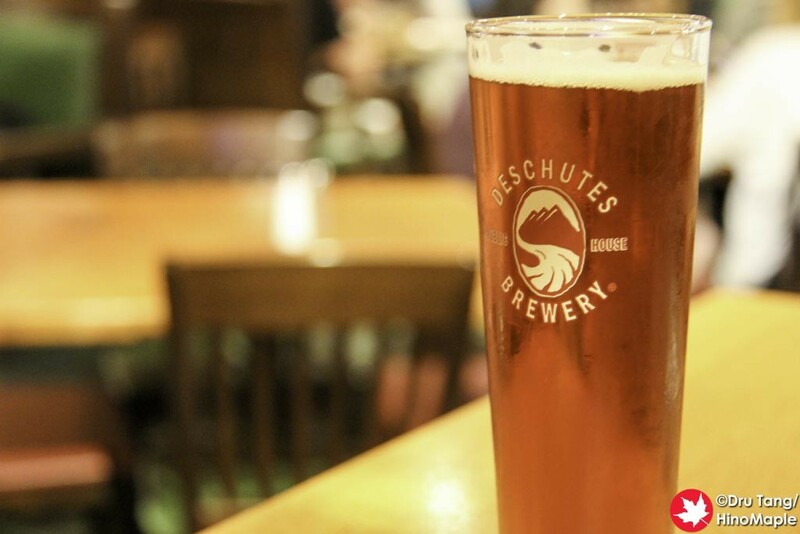 In Oregon, Deschutes is a very popular and well known brewery. Several people recommended me to go there and I had a lot of expectations for this shop. The beer sounded delicious and the location looked very friendly. Unfortunately it was one of the most popular places which meant it was difficult for me to get in. I visited Deschutes after a lot of drinking and eating at Rogue, which happens to be just a few blocks away, and somehow I still had room to enjoy a drink or two. 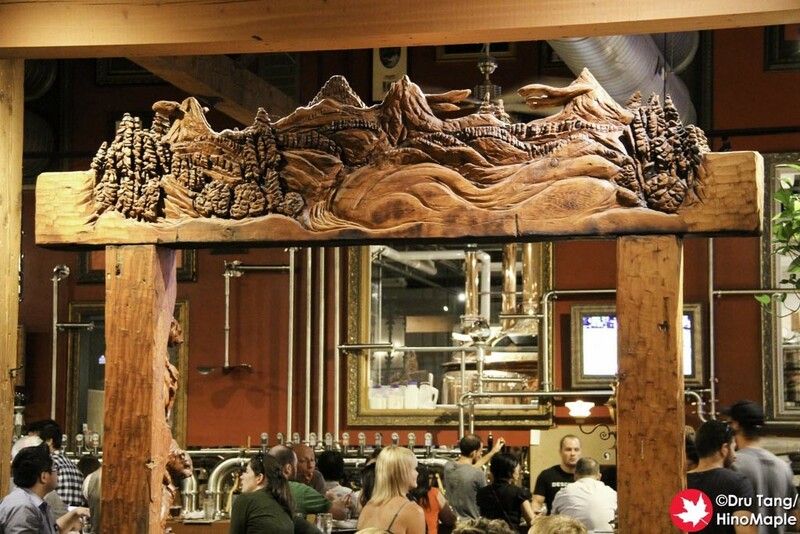 The first thing you have to do at Deschutes is line-up. Since the place is really popular, it is almost always full with people lined up outside, even later in the evening. The exterior makes the “Public House” look small but it is actually pretty huge inside. Along one side of the building is the main brewery where they make different beers for the Public House and in the centre is the bar. 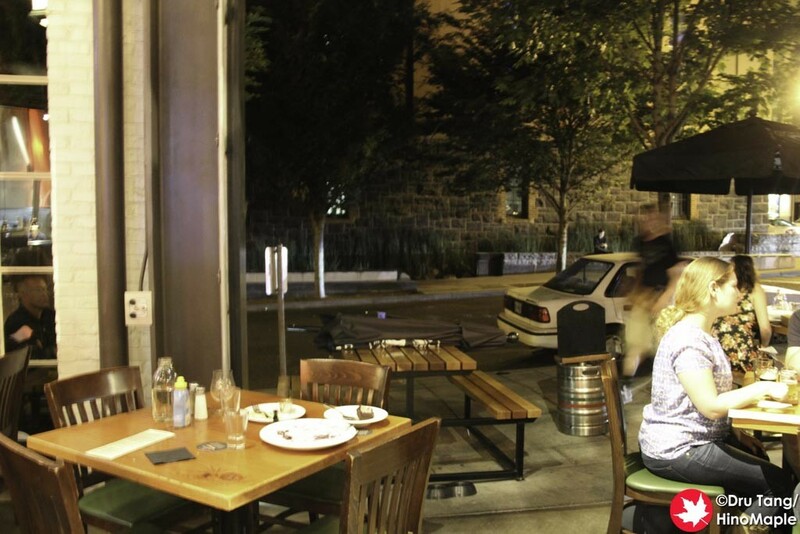 They do have a little outdoor seating but most people will want to go to the restaurant area. I did pass the bar and it was really lively and looked like a lot of fun, but I just wanted a few beers before leaving downtown Portland. My only regret with Deschutes is that I didn’t go there for dinner. 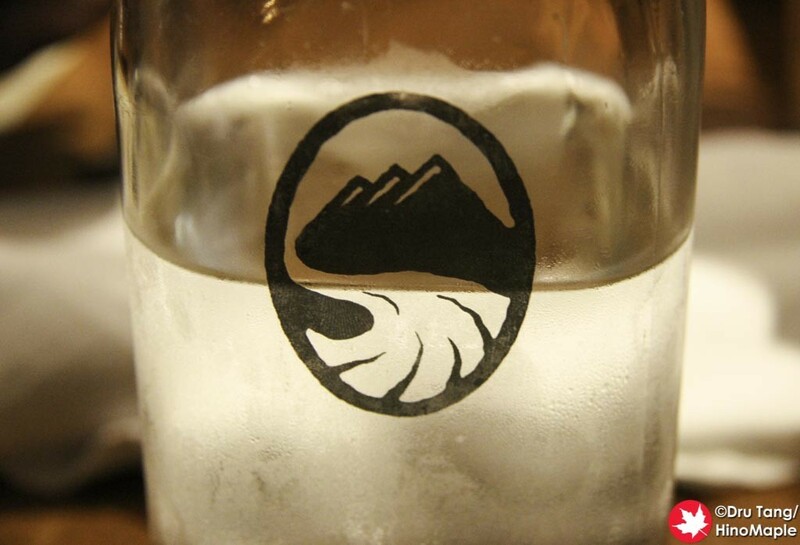 Deschutes is designed more for people who want to enjoy a nice meal. Since me and “R” were there for drinks only, as we were too full from Rogue, I felt a little out of place at Deschutes. The people were friendly and informative on what they had but I felt that I should have given the food a try. 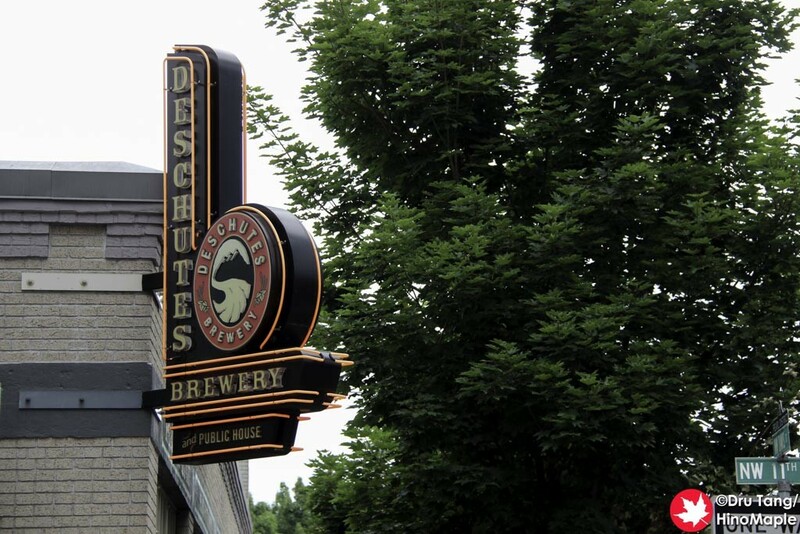 Everything about Deschutes seemed to scream “commercial” rather than being true to the entire craft beer scene in Portland. They seemed to be trying a little too hard to be upscale in design and presentation when being more down to earth would have been better. 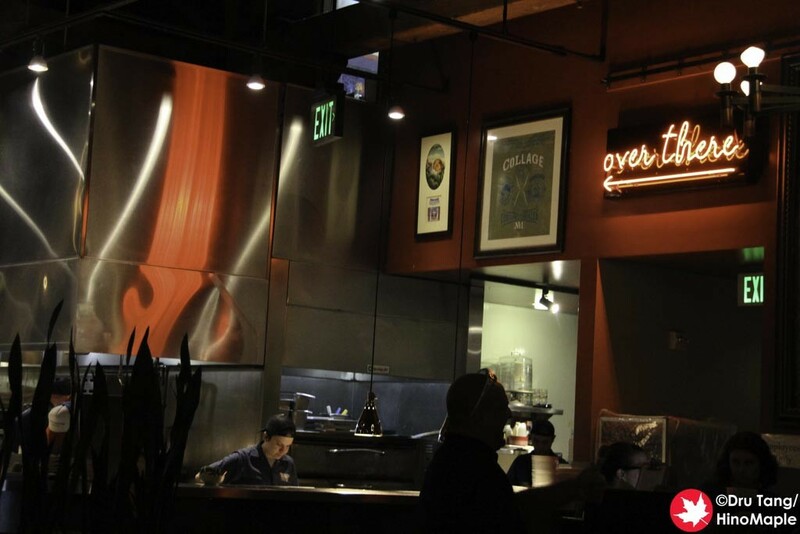 I felt like I was in an upscale restaurant rather than a brewery’s tap house. By far the atmosphere is for a specific crowd. It wasn’t what I like when trying to visit a brewery but it is something that really attracts a lot of visitors. It is popular for a reason and the formula really works for a lot of people, but for me it didn’t work. If I was to take someone on a date, I would definitely look at Deschutes as the food looked delicious and the beer was really good. I tried their PDX Vice as well as their India Red Ale. Both were as expected and both made me very happy. While I didn’t care so much for the shop, I really liked their beers and would happily look for their beers again when I visit Oregon again. I think Deschutes is a great place that just isn’t what I was looking for when I was there. While I sound like I didn’t like it, I have to be true to what I felt at the time. I think that if I was there for dinner, and not so full from eating and drinking at Rogue, I would have liked it a lot more. If I had more time in Portland to do more things, I am sure that I would have liked it a LOT more. 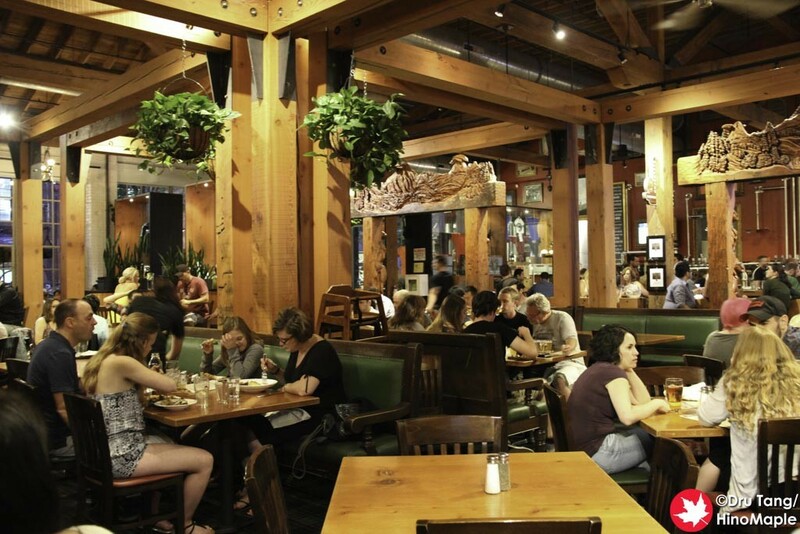 You really do have to visit Deschutes and give it a try as they make good beer and from the looks of things, good food too. 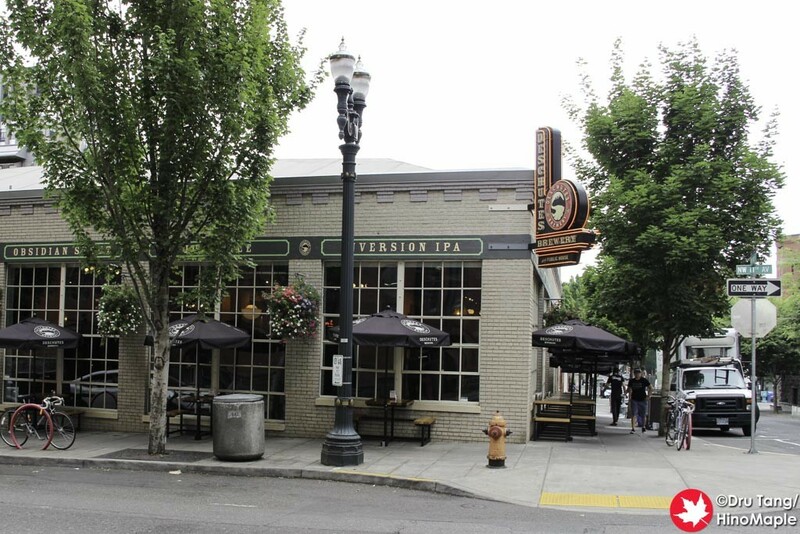 This entry was posted in US Food and tagged America, beer, craft beer, Deschutes, Deschutes Brewery, Deschutes Brewery Public House, Deschutes Public House, Oregon, Portland, Public House, US, USA by Dru. Bookmark the permalink.